Award-winning interior architects Goddard Littlefair have refurbished and restored this grand building to create an elegant & comfortable space. 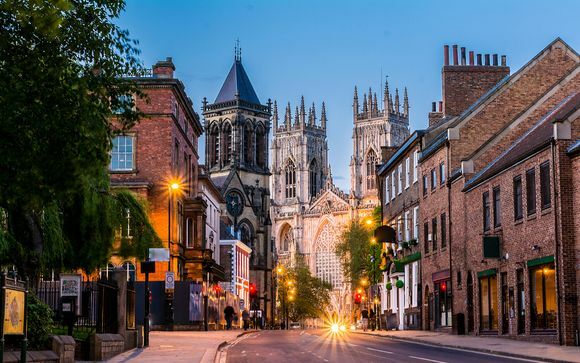 Your hotel overlooks one of the most iconic sights in the city, the awe-inspiring York Minster, thought to be one of the most beautiful Gothic cathedrals in the world. Fully refurbished, each room in this hotel is thoughtfully furnished with simple detailing to create an elegant and inviting space for you to relax in. No where in Northern England screams 'medieval' quite like York, this enchanting web of traditional pubs, cobbled streets and an awe-inspiring Gothic cathedral, York Minster at its heart, all enclosed by beautifully preserved 13th century wall. York's 2000 year old history is evident throughout this city's old town, where a simple work will capture the imagination. Elegance and comfort go hand-in-hand at this historic hotel, where the award-winning interior architects Goddard Littlefair have effortlessly combined the grandeur of this late-Victorian masterpiece with the comforts of modern living. All of this is overlooking the iconic York Minister, a Gothic cathedral that never fails to draw your eye. 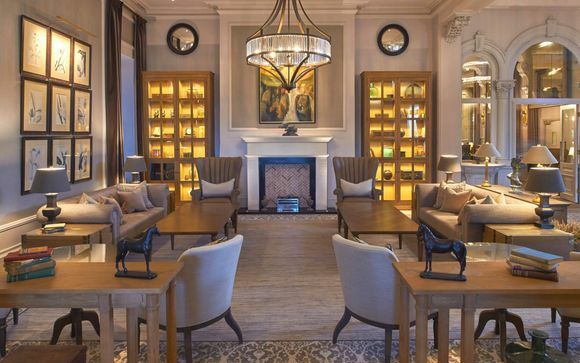 Fully refurbished, each room in this hotel is thoughtfully furnished with simple detailing and rich materials such as oak and brass to create a relaxing environment. - The Sidings Single Guest Room (16m² / max. 1 person): The Sidings guest rooms have all the design touches and detail that you will find in the original ‘house’, but they are located in a new wing, to the side of the hotel. - The Sidings Double Guest Room (19m² / max. 2 persons): Each of these rooms are bright, modern & sleekly designed to create a pleasing haven. - Guest Room (20m² / max. 2 persons): Unwind in sophisticated surroundings in these fully refurbished rooms, where style & comfort meet. - Superior Twin or Double Room (21m² / max. 2 persons): Complementing the hotel’s heritage, these rooms offer comfort and luxury with intuitive technology and modern design values. - Deluxe Double Room (30m² / max. 2 persons): A room with a view, this beautifully refurbished room offers custom details with intuitive technology to create a welcomed retreat with a view of the York city gardens. - Junior Suite with Garden View (35m² / max. 2 persons): These rooms are open-plan havens whose large, sash windows open up onto the hotel's peaceful garden, illuminating the rooms listed interior details perfectly. - Executive Suite (35m² / max. 2 persons): These suites feature all the charms of a Junior Suite except with a separate bedrooms & living rooms, each one tastefully furnished and a view of the iconic York Minster. 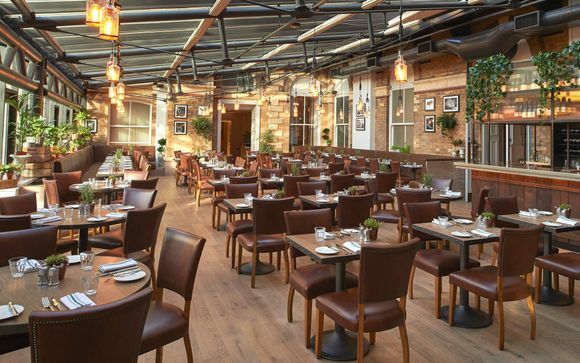 The Principal York prides itself on British classics: warming Yorkshire ale cottage pie, sweet Bramley apple crumble and elegant afternoon tea...these are just some of the treats waiting for you within the modern chic of The Refectory Kitchen Terrace. Experience some local hospitality at the Chapter House where you will find old world charm & local craft beers served up opposite York Station. Your hotel is approximately 1min / 100m from York Station.